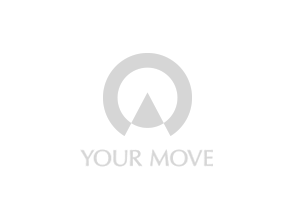 Your Move Nottingham is situated on St Peters Gate within the heart of the city. The branch offers a full, comprehensive range of services providing residential sales, lettings and supporting services including free property valuations. Our partners Embrace Financial Services offer mortgage and protection options. We are easily accessible from the tram stop in the market square and Nottingham railway station is just a 10 minute walk away. For those who are travelling by car, there are two multi-storey car parks (Fletcher Gate and Broadmarsh) just a short walk from our offices. We provide a wide range of services to suit everyone’s needs and our friendly team will always go out of their way to help you find your dream home or the ideal tenant to live in your rental property. Our Your Move Branch Manager Jennifer Swinstead believes that Nottingham is a vibrant city and a popular place to live. With two universities which attract students to city centre living and modern housing close to local schools, there is plenty for everyone’s taste whether renting or looking to buy. Nottingham’s villages are also very popular because of their reputation as having good retirement properties and excellent transport links within easy reach of the city centre. The team at Nottingham have years of knowledge and experience in the property industry and are passionate about helping you with your property needs. Contact our Nottingham team today to see how they can help you through your property journey. What is it like to live in Nottinghamshire, Lincolnshire? For a mix of incredible scenery, plenty of culture and a bustling city scene, then these two counties might have something quite special to offer in finding your perfect home with some great locations throughout.